It isn't easy being the son of a giant. 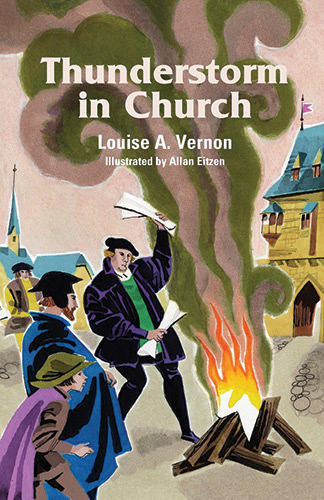 In Louise Vernon's short children's novel, we get to hear Luther's story told from the perspective of his young son Hans, who is worried that he won't measure up to his father. Though I'm a bit outside the intended demographic, I found it a very fun read, and I think that's because, with one of his offspring acting as the narrator, this is a really unique look at Luther. Hans reveals to us a father who is both funny and furious - a man of quick temper who also laughs a lot. 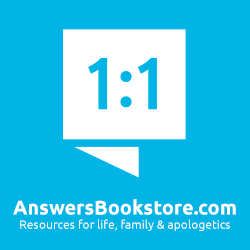 Having Hans narrate also allows Luther to teach us, as he instructs his son, some of the truths that he uncovered about God's grace – that we don't have to buy the forgiveness that God freely offers. Reviewers have faulted the book for being too dialogue-driven, and there is a lot of talking. But Vernon inserts a few actions scenes as well, when the town's bullies want to teach the son of the famous Doctor Luther a lesson or two. If your child is a reader, this is a book that could be read just for enjoyment. As an educational tool, the age-level this is aimed at – as young as Grade 3 – may have to be alerted that this is a fictionalized biography, and that this means only the general facts are true, but many of the details are just a matter of imagination. Overall, Thunderstorm in Church is a wonderful book that could make for a nice night time read with your kids. 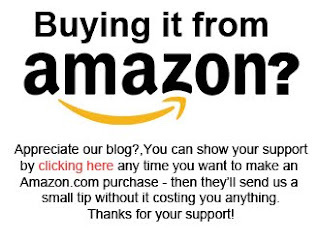 You can pick it up at Amazon.com here, and Amazon.ca here. And be sure to check out our review of Louise A. Vernon book on Tyndale, The Bible Smuggler.